The Carolina Reaper, the hottest chili in the world, was created by Ed Currie in South Carolina. | Photo: Courtesy of PuckerButt Pepper Co. Fiery flavors are the latest foodie obsession, and chefs around the world are serving up some serious spice. For some, it’s the challenge of living on the edge and consuming something that feels dangerous. Others crave the rush of endorphins that follows—a spicy euphoria that many experience. Still others simply savor the exotic flavor. Whatever the reason, mankind has chased the intense, burning heat of hot peppers for thousands of years. From hot jalapeños to scorching serranos, these spicy peppers make our tongues sizzle while adding a kick of flavor. That intensity is measured using the Scoville scale, which ranks the pungency, or spicy heat, of chili peppers based on a pepper’s average Scoville Heat Units (SHU). Mild, easy-to-eat bell peppers are at the bottom of the scale with zero SHU, jalapeños are lightweights coming in at 3,500 to 10,000 SHU, habaneros score around 300,000 units, and the Carolina Reaper registers over 1.5 million units. In 2015, the NPD Group, a leading global information company, reported that 56 percent of U.S. households had hot sauce on hand for seasoning food. Nine percent polled had Sriracha, a popular hot sauce made from a paste of chili peppers, distilled vinegar, garlic, sugar and salt, in their kitchen’s inventory. It seems the trend is still warming up. The National Restaurant Association’s “What’s Hot 2017 Culinary Forecast” listed ethnic spices as its 11th hottest food trend of the year, with 65 percent of its members voting that hot, spicy condiments are still very much in vogue. The pepper craze has also crossed over into other markets, with heat showing up in chocolates, jellies, jams, ice creams, desserts and even cocktails. 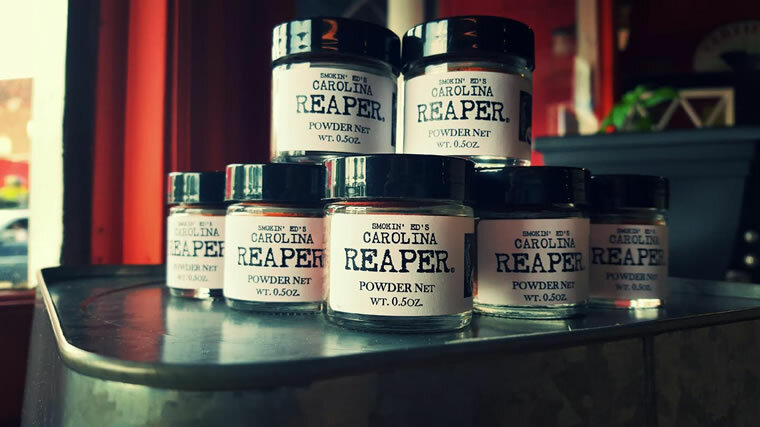 A variety of products get an extra kick from the spicy Carolina Reaper. | Photo: Courtesy of PuckerButt Pepper Co. 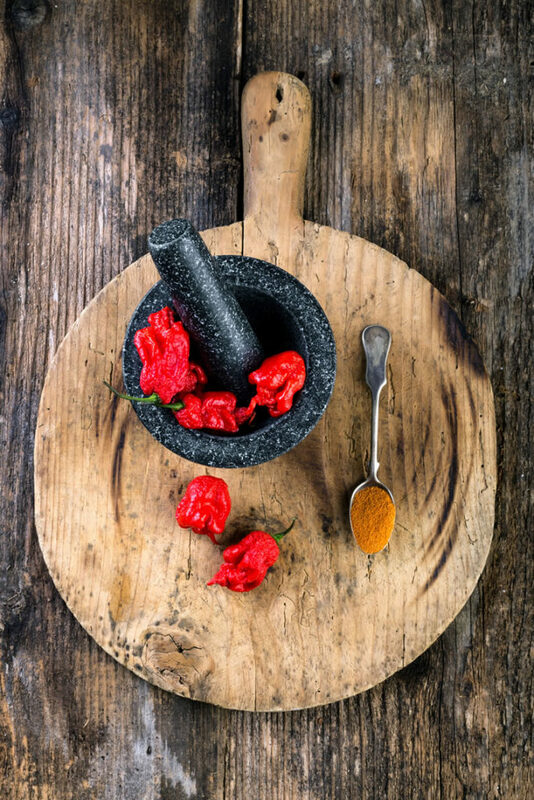 The origin of the Carolina Reaper can be traced back to research into healthy habits. Since he was a young man, Currie has known that cancer and heart disease run in his family. Later on, Currie moved to South Carolina and began working in banking, only dabbling in peppers during his spare time. However, his hobby grew, and Currie found himself cultivating 8,000 hot pepper plants in every spare inch of his yard and the yards of family, friends and neighbors. He went on to convert the peppers to hot sauces, salsas, mustards, jellies and snacks. “Linda is the one who said, ‘I think we need to start a business,’ ” Currie adds. But Currie had to be patient. He had to propagate the pepper for eight generations (which took years) to prove to the horticultural world that it was a stable variety. Only then did he take it to Winthrop University for testing. “And it measured, on average, 1,474,000 Scoville Heat Units, which was a pleasant surprise,” he says. By 2013, Guinness had crowned his Carolina Reaper as “The World’s Hottest Chili,” and soon after, pepper growers and marketers across the globe began a full-force campaign to dethrone both Smokin’ Ed and his scorcher. 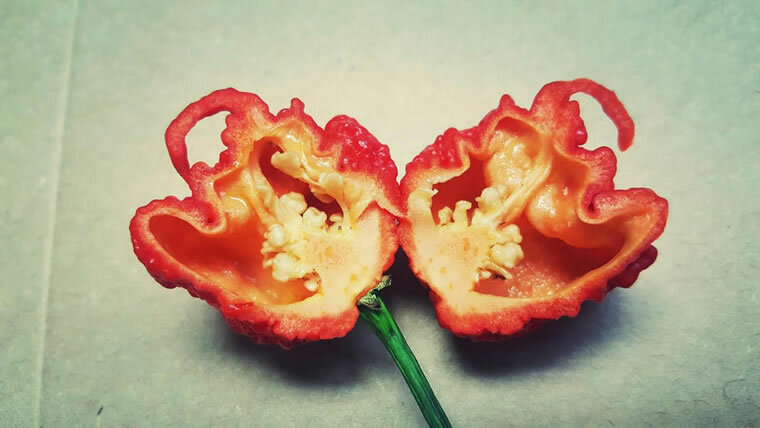 Indeed, a grower in Wales has claimed that his Dragon’s Breath is a much hotter pepper, but Guinness World Records has not confirmed the claim yet. Food historians believe that the birthplace of the enigmatic chili pepper (belonging to the capsicum annuum species) is Mexico. The spicy pods remained unknown to most of the world until Portuguese explorers looking for trade routes discovered them and dispersed them throughout the globe during the Columbian Exchange. Paprika, the spice made from the fruits of the larger and sweeter varieties of the plant capsicum annuum, registers low on Scoville’s scale at between 100 and 1,000 units. Seldom seen in the U.S. beyond the velvety, red dusting sprinkled on the top surface of potato salad, macaroni and cheese and deviled eggs, paprika reigns supreme in Hungarian cuisine, adding flavorful richness and color to some of the country’s signature dishes—paprika chicken, paprika potatoes and goulash among them. In Thai cuisine, chilies provide both unique flavor and heat, with Thai chilies being the main ingredient in both green and red curry paste, as well as spicy soups and traditional entrées designed to be eaten with rice. “Thai chili is really a misnomer because there are so many varieties called Thai chilies,” DeWitt says. “For example, they use a small Thai chili called a mouse dropping chili, or a prik kee nu. It’s a small variety of a bird’s pepper that doesn’t have a lot of taste, but has a lot of heat. As a rule of thumb, the smaller varieties of Thai chilies are hotter than the larger ones. There are some exceptions, of course.” For reference, the bird’s eye chili scores around 100,000 SHU. “In the Caribbean, you see lots of jalapeños and serranos around the Yucatán Peninsula, Scotch Bonnets in Jamaica, and Congo peppers in Trinidad,” DeWitt continues. The Scotch Bonnet, found in the Caribbean and named for its uncanny resemblance to a Scottish tam-o’-shanter (a type of cap), measures 100,000 to 350,000 SHU and offers a hint of sweetness and a lot of heat to dishes like jerk chicken and jerk pork. Trinidad’s 7-Pot pepper also hails as one of the world’s hottest peppers, ranking high with its blistering 1 million to 1.2 million SHU. Its name comes from the claim that one pepper can flavor seven pots of stew. “And you’ll find spicy food all over Africa, where they are very sophisticated in their pepper use,” DeWitt says. For example, the Nando’s chain specializes in a sauce made with bird’s eye peppers and is exceptionally popular throughout South Africa. A spicy chicken sandwich is on the menu at the Beach Club. Peppers and hot sauces have an important place in the American South, too. DeWitt notes that central Texas has an obsession with the jalapeño and Louisiana is madly in love with Tabasco sauce, used to add a punch to greens, scrambled eggs, Hoppin’ John, sandwiches and pretty much anything and everything on a Southerner’s plate. On the coast, it’s not uncommon to find locals feasting on fresh oysters plopped on saltine crackers doused with dashes of Tabasco. Like other chefs and culinary artists, Jackson has been experimenting with an array of peppers and sauces. He describes frying hot peppers from Eastern Asia then sprinkling them with a little salt and lemon juice. In the last couple of years, Gregg Marsh, chef de cuisine at the Snack Shack at the Beach Club, has been cultivating his own pepper plants in a home garden. “It started with just three pepper plants that I transplanted into planter boxes, and expanded into a small pepper garden,” Marsh says. 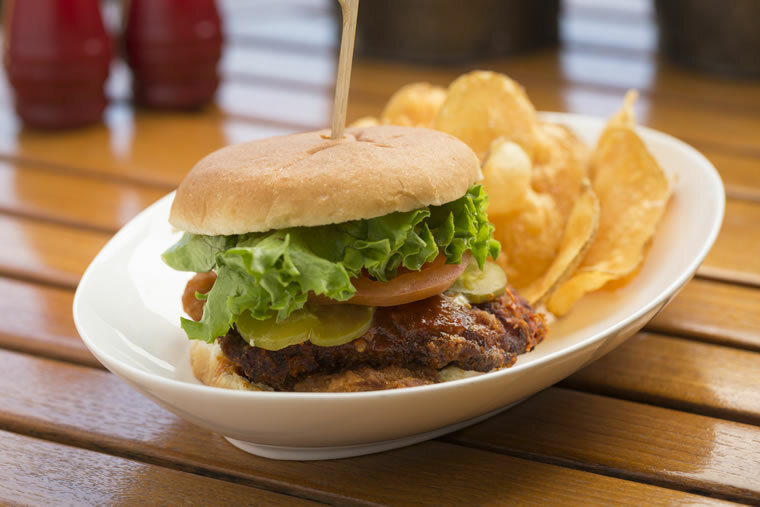 At the Beach Club, one popular spicy dish is the hot chicken sandwich. “People ask for the hot sauce on the side, and they use it like a dip,” Marsh says. “We also offer a great fried chicken plate with collard greens, dirty rice and hot sauce made from both jalapeños and habaneros. Whether you’re cultivating new pepper varieties, incorporating them in a creative meal or sampling a hot entrée for the first time, there are plenty of ways to turn up the heat. Variety, as they say, is the spice of life. In 2017, members of the National Restaurant Association voted that spicy cocktails were still a hot trend at restaurants and bars across the country. Daring mixologists have taken to adding jalapeño to their margaritas, or perhaps a dash of black pepper to their Gibsons, among other creative uses of spice. 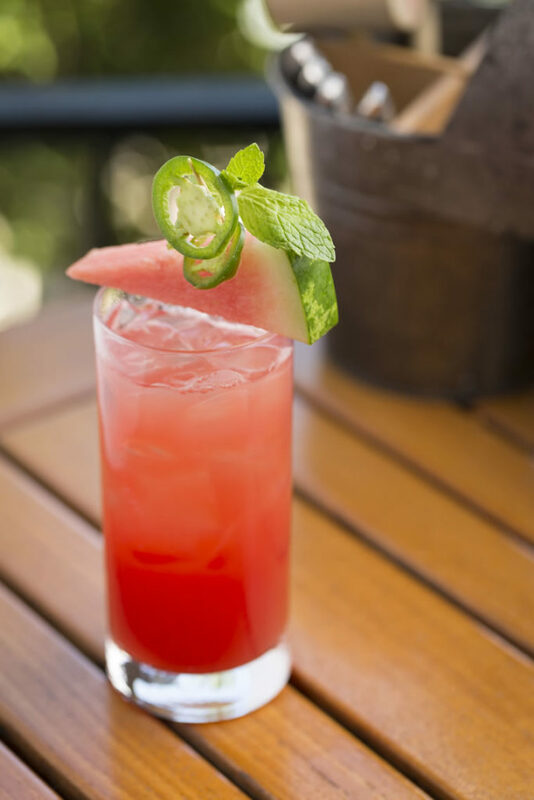 At Sea Island, the chefs have discovered ways to balance spicy savoriness with more refreshing ingredients. The Scoville scale measures the hotness of peppers in Scoville Heat Units (SHU), which represent the average amount of capsaicin present in a sampling of peppers. Read on to find out where a few of your favorite peppers rank.